keyboard: the initial reason why I needed to settle for an HP notebook – they just have the best keyboard on their notebooks as the CTRL and FN keys aren’t swapped like on ThinkPad. For those die-hard ThinkPad users, the BIOS also allows to change the key settings. Every key is in it’s place and where I’m used to it from my desktop PC. quality: the hinges are made of steel – just like on ThinkPads (IBM/Lenovo) and the frame inside is made out of aluminium. Of all competitors, this one comes close to IBM quality. cpu: I actually wanted to go for a new Intel Duo Core but soon figured that – although they are better – these new CPUs drain more energy from the battery. I think I’d have to wait another year until the system becomes optimized. A Pentium M machine should do as well. After all, it’s still faster than my desktop PC (AMD Athlon XP 2000+ @ 1.66 Ghz + 1024 MB RAM). package: “Don’t overbuy technology”, as Steve put it. I think that’s true and while I really considered going for a used, light-weight IBM Z61t (2,0 GHz Pentium M, 1280×768, 80 GB HDD, 512 MB RAM) for just 900,- EUR or even a Duo Core machine for something like EUR 1200,-, I found this machine for even less. And it’s new – no old machine with an overcharged battery to deal with and a valid XP Prof licence (no free MSDNAA students licences available at my faculty any more). Ubuntu also runs on this machine, although I was thinking about putting it in a virtual environment only. price: for something under EUR 900,- including shipping a reasonable price via Ebay as it still sells for something slightly above EUR 1.000,- (although out of production!). etc: A well-documented, often sold machine for the business user – spare parts are available world-wide, a higher quality than low-end consumer notebooks (with even more multimedia functions). I might also change the display if the normal WXGA resolution doesn’t suffice in the long run – spare displays with WSXGA+ (1680 x 1050) are available for something like EUR 150,-. Since it has been on the market for quite some time, I expect this machine to be trouble-free to some extent and being able to download matured drivers and BIOS software from HP’s website. Bluetooth functionality has been important to me as it’s this way that I connect my mobile to the computer and I am tired of carrying extra USB dongles around with me. Manuals are available for download, even those on “how to dismantle” everything – upgrading won’t be a problem (although one memory module is right under the keyboard – the other one at the bottom side) and the DVD Burner even comes in form of a MultiBay drive = can be removed anytime and even exchanged with a better model. Due to its good sales performance in the past year, this model is still highly appreciated on the market for 2nd hand notebooks – so even selling it by next year might return at least 60% of the investment. The only (hardware) downside I’ve experienced so far is that the internal card-reader doesn’t like SONY’s Memory Stick Duo Pro, so I’ll have to stick to a Nokia mobile in future as the newer Nokias come with a (smaller) RS-MMS card (and Sony Ericsson mobiles with this Memory Stick). But since I am a fan of Nokia anyways, this shouldn’t be a problem. I am happy that I eventually decided for a notebook and that it works the way it’s supposed to be. Good quality and transportability are important issues for me as well as a decent battery runtime. There’s no need for a fancy multimedia machine, if it only lasts for 2h maximum while without any external power supply. And if you’ve ever experienced a power failure, you’ll definetely appreciate a battery runtime of 4hrs. Now I am curious to see how it works under daily heavy use and if there are any temperature problems. There’s a BIOS setting that enables the fan to run at low speed right from the start – which seems to be good to keep temperatures down in the long run. Also, I am happy that I resisted from buying too new technology and instead went for this older machine. Buying something for such an amount is a lot of money for someone without a regular income and you never know – it might get stolen or even brake so I am happy I didn’t invest too much money. I know there are a lot of ppl that just buy laptops because they like to have their computer with them although they actually don’t need to do much on the machine – at least, nothing really important they couldn’t do in an internet café. I’ll need this machine for running GIS and CAD progs and use Excel for some hydrological data. The widescreen comes in handy for working with spreadsheet data as it allows to display even more columns. Another use will be picture editing, some webdesign related stuff and 2-3 games, so I think this machine will be used to reveal its full potential. Installation: The notebook came preinstalled with a single partition (wth??!) and lots of bloatware such as Norton Antivirus and other consumer stuff. Fortunately, they left out any AOL add-on which would have been a reason to send this back to HP. Will have to make a clean WinXP setup and install my own progs. What I really LIKE about this machine is the internal Bluetooth. It even supports a headset profile – meaning: I can talk to someone while using BT = the mobile can be somewhere else in the room and I’ll be using the BT connection to use the MIC and speakers of the notebook to communicate. A perfect technology when you’re in remote areas where there are only limited cellular networks / poor reception of the base signals. Put your mobile somewhere up on the window and use the notebook to phone. Simple as that! ==> It even transmitts MY VERY OWN ringtone from the mobile onto the speakers of the notebook. Ok, call me outdated, but this works MUCH better than any USB BT dongle. Cooooooooooooooool! Very good choice, JKE! 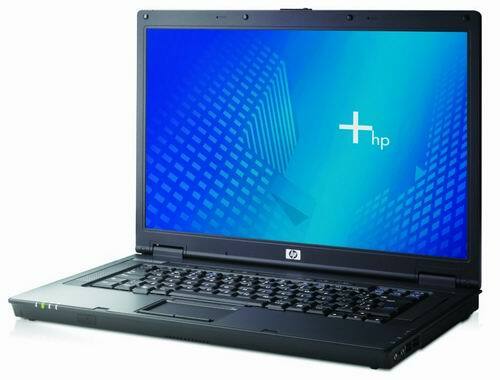 In my point of view HP notebooks are suitable for your future plans (e.g. working abroad etc. ), because of the robustness. haette ich dir von anfang an empfohlen, den HP Notebook. Ich hab den auch mal ne zeitlang benutzen duerfen, war mir aber in der anschaffung zu teuer. schoen flach, leicht und genuegend features inside. Sounds like you made a truly wise decision, which you got to through much investigation and usage of brain – something that a lot of people do not do all the time. Bring it on. I’m ish-ish about HPs … The 3 i’ve used developed issues with the battery/power supply after a while. Congratulations , you finally found the notebook you were looking for.However, I would not say people do not use brain per se when purchasing notebooks or other gadgets per the bwana mbuzi comment,not everyone is Tech savvy or it Tech nerd :-). I recall when I was buying my notebook, I had no idea what to look for , for some people like me, we just want a laptop period, HP,Compaq et al, do not matter , just a functioning laptop , perhaps no interest or time to go through the gruelsome process of weighing in pros anc cons. So thank God for people like you Jke who take time to blog and explain various things to look for while purchasing a laptops!!! Hope the machine serves you well! This is a nice machine JKE, I would probably buy something like this if I was buying today. (It would have to be IBM of course, I’m nothing without the black). I have 1400*1050 screen and I love it. If nothing else, no matter which laptop I buy from this point forward, it will have to be atleast SXGA+ or better. YEAH! Thx everyone, this HP compaq nx8220 hasn’t dissappointed me yet despite of a missing cover for the docking port that another, older HP compaq has. But I knew that before I bought it so it’s ok. In fact, you can just cover it with something else, like a black adhesive tape. @Krusty: Ja, meintest Du genau dieses HP oder ein anderes? Die sehen zwar mittlerweile alle ähnlich aus, sind aber dennoch verschieden. Es gibt da hauptsächlich die 6/7er Reihe, und die 8/9er Reihe. @m: Man, that Toshiba must have hit you hard! I thought you’d also be using Apple MacBooks? Si, you have 2 or 3 book available? @Steve: thx, the SXGA+ would be cool to have and I initially settled for a Samsung X20 with such a screen resolution, but it doesn’t even have an internal microphone and other small things that made me remove it from my list of cool notebooks. A high resolution is awesome though. I’ll need to check out the WSXGA+ display for the HP one day. For the moment, the WXGA should work.